The final DOL fiduciary rule, regardless of its exact shape, will likely be implemented next year, says Marilyn Mohrman-Gillis of the CFP Board. 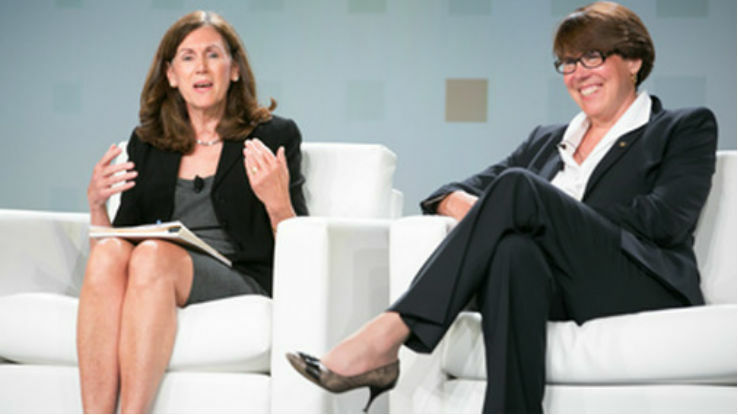 The final DOL fiduciary rule, regardless of its exact shape, will likely be implemented next year, says Marilyn Mohrman-Gillis of the CFP Board (left, with consumer advocate Barbara Roper). On Saturday during a media briefing with the CFP Board leadership, Mohrman-Gillis, the Board’s managing director of public policy and communications, said she expects a final rulemaking from the DOL in the first half of 2016. She considers it unlikely, she said, that Congress would make any specific moves to stop implementation of the DOL rule, unless it came in the form of a rider to a broader spending plan, though she suggested that might not be in the cards either. The long process for the DOL rule, and the openness of the Department to suggestions from the financial services industry for changes, leads her to believe that the final DOL rule, regardless of its exact shape, will be implemented next year. However, the departure of two SEC commissioners may well have an effect on the fiduciary rulemaking at the SEC as well, she said. On Sunday, FPA President Ed Gjertsen said the proposed DOL rulemaking “goes a long way toward protecting all consumers,” especially those of lesser financial means who particularly need protection. That doesn’t mean FPA believes the proposed rule is perfect, as it made clear in its original comment letter submitted with its partners in the Financial Planning Coalition, the CFP Board and the National Association of Personal Financial Advisors (NAPFA). “We’re in favor of it,” Gjertsen said, while “the opposition is not,” even though “we have similar reservations” about the proposed rule. Moreover, he said the best interest contract exemption, or BIC, within DOL’s proposed rule will allow advisors to receive commissions under ERISA. Quick, when do you claim Social Security? What do you get if your ex dies?